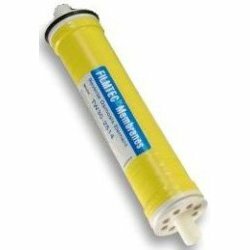 The Filmtec TW30-4040 reverse osmosis membrane is the industry standard for reliable operation, producing the highest quality water. Be sure to keep the membrane moist after initial use, for long-lasting use and reliability. If you have any questions about this product by Film Tec, contact us by completing and submitting the form below. If you are looking for a specif part number, please include it with your message.